Swim safely this summer with these tips. Now that the summer is in full swing, many of us are ready to enjoy an open pool and fun in the sun. Though splashing and swimming is carefree fun, owning a backyard pool comes with serious responsibilities, too. 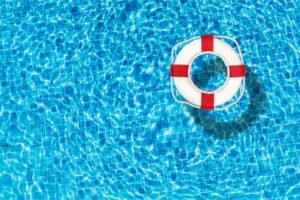 Check out these tips on poolside safety to emergency preparedness to make sure your friends and family enjoy your pool safely. Install a fence with self-locked and self-closing gates. Lock the pool’s gates when the pool is not in use. Do not leave children or guests alone in the event that they need assistance. Do not swim in stormy weather. Do not allow sharp objects or alcohol in the pool area. Keep an emergency first aid kit by the pool at all times. Take lifeguard, first aid, and CPR courses in case anyone needs your assistance while on your property. Once old enough, your children should go through the same training. Enroll your children in swimming lessons led by a qualified swim instructor. Keep rescue equipment and a telephone to call 911 immediately. Place emergency numbers and CPR instructions close to the pool. While you ready yourself for backyard swimming, allow the professionals to tend to your insurance needs. For all of your insurance needs in Fresno and surrounding cities of California, visit McCarty Insurance Agency today.